We were sent 3 multi-packs of 6 to try in Cheese & Onion, Roast Chicken and Lightly Salted. I’m usually a Salt & Vinegar kinda gal, but the Chicken ones are delicious, the boys love the Cheese & Onion and hubby is liking the Lightly Salted. We are all happy and there is no arguing over flavours, a win win. Even better they are Gluten Free so hubby is happy he can eat them. 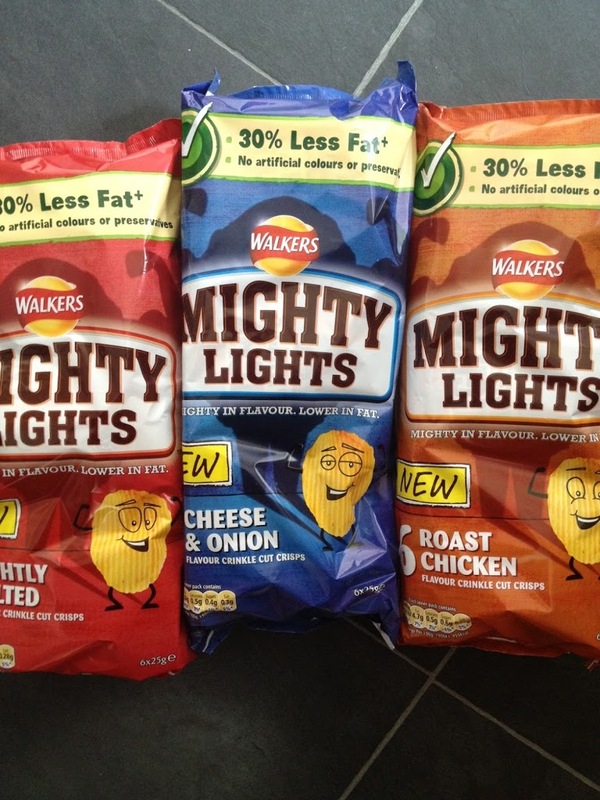 Walkers Mighty Lights are lower in fat, but mighty in flavour and are thicker than normal crisps due to the ridges. Each pack is 25g, containing 114 calories, 4.7g of fat, 0.5g of which is saturated fat. 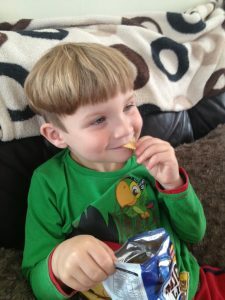 The crisps are made of real potatoes, cooked in sunflower oil and contain no artificial colours, preservatives or MSG. They are suitable for vegetarians and are a good source of fibre. 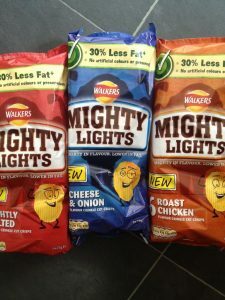 Mighty Lights are on average 30% less fat than standard crisps. All sounds good to me. 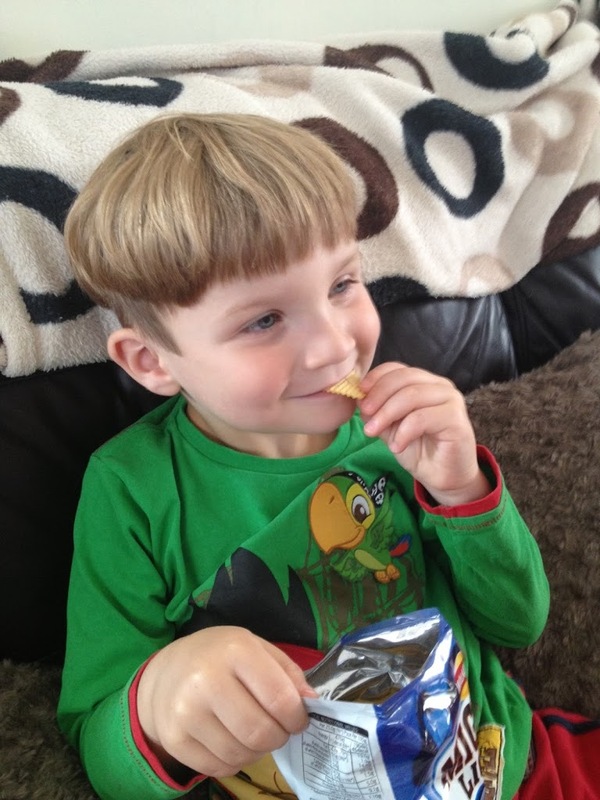 Both the boys love these crisps, they ask for them when they come in from school as a little snack and devour the whole packet. 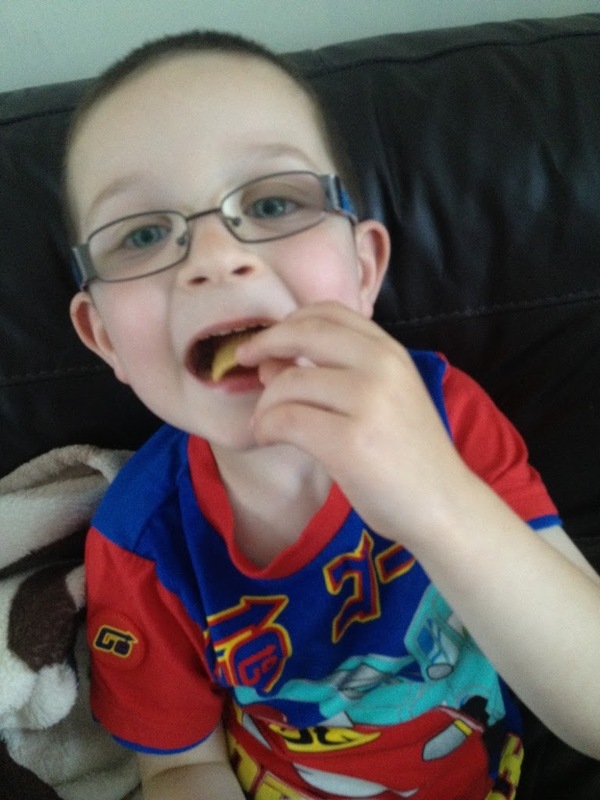 They love the flavour and the fact they are solid and no all crunched up like normal crisps, so Lucas told me. The boys don’t get crisps all that often, but they are really enjoying these. Tyler took some of the chicken ones I was eating as he wasn’t sure he’d like them and he loved them. They loved the taste and the texture, they didn’t care that they contained less fat. They did like the crunchy noise they made. Think that’s the ridges. A big thumbs up from the boys. Aria is still a little bit small, but she was staring at them longingly, so I’m guessing they have a thumbs up from her too. 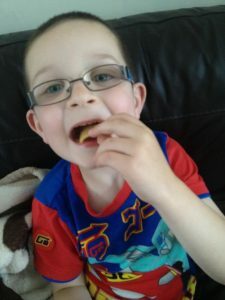 Crisps aren’t always my first choice of snack, I have a little too much of a sweet tooth, but when I’m hungry and the mood takes me, I do love a packet of crisps. I’m usually a Salt & Vinegar crisps person as I mentioned above and I hope Walkers Might Lights make them in this flavour soon. As I said I loved the chicken ones. 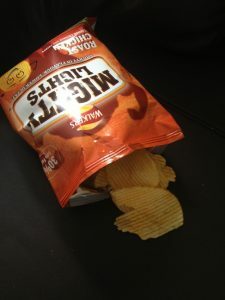 The texture is great they are really crunchy and don’t have that greasy feeling you get with most other crisps, they feel light but filling if that makes sense. I find a lot of crisps greasy and heavy, these are not. I was always concerned that they wouldn’t taste of much with them going for the healthier options, but I was wrong, they taste great, strong but not over powering. There were no little bits of crisps that there always is at the bottom of bags and you have to tip them into your mouth, you know you do it. These don’t have that, they are all whole, well unless you sit on the bag. A big thumbs up from me too. All in all we loved these crisps and they will be our crisps of choice from now on. Although a salt and vinegar flavour would be an added bonus. Disclaimer:- This is a sponsored post on behalf of Walkers for more information please see my disclosure page, my opinions are my own.